In 1994, Portishead went from being cutting edge to something dangerously close to a punch line within six months. 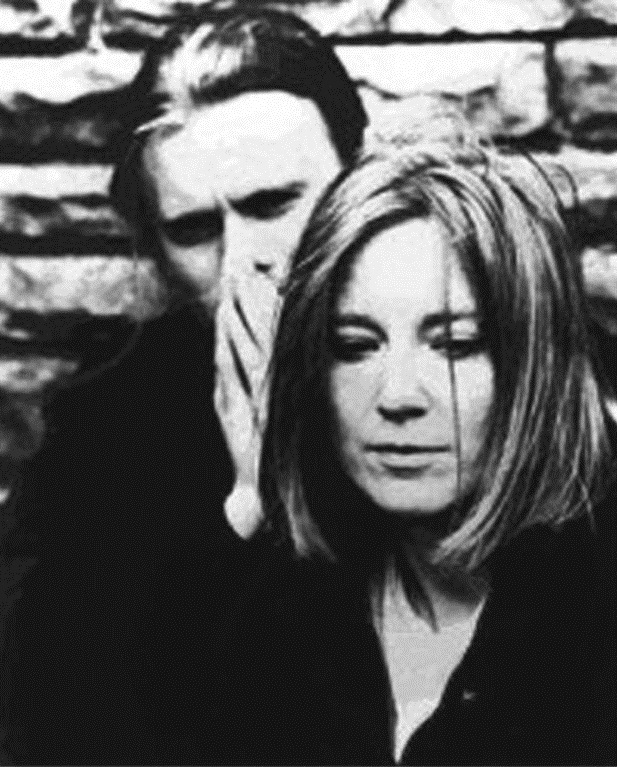 The band had formed in Bristol, a collaboration between producer and DJ Geoff Barrow, who had worked as an assistant engineer on (fellow Bristolians) Massive Attack’s seminal Blue Lines, and singer Beth Gibbons, who sang jazz and R&B in a local gigging band, augmented by a sympathetic jazz guitarist of Barrow’s acquaintance – a man called Adrian Utley, who was tired of playing Radio Two sessions and cruise ships and was looking for some music that would stretch him, that was a little meatier. The three of them crafted an atmospheric sound, influenced as much by film noir as hip-hop (although it was very clearly a post-hip-hop construction), using scratchy and distorted samples, low-bpm beats and jazz-influenced vocals (all sung). The press soon coined a name for this new type of music: trip-hop. Portishead, whose music was undeniable very stylish and modish and ‘now’, deeply resented having their emotional and heartfelt work reduced to this ghastly buzzword. They had to endure hearing their songs get co-opted by TV music supervisors everywhere. You couldn’t switch on the telly without hearing snatches of Sour Times, Glory Box or Numb used under trailers and station bumpers. Dummy soundtracked North London dinner parties every night of week. Outright imitations (Morcheeba, Sneaker Pimps) started to garner hit single. Programmed or sampled drum tracks influenced by their style started to turn up on mainstream singer-songwriter records. Their music, and moreover their style of music, was dangerously over-exposed. The whole thing made the band, and particularly Geoff Barrow, ill. They lay low for a while, then purposely made a second record too dark and unfriendly to be embraced by the mainstream. Yet for all their good intentions, that album, Portishead, was a disappointment. The black-and-white high contrast of Dummy had been replaced by an unyielding grey. Gibbons’ vocals, now unvaryingly woebegone, sounded forced, the pain and misery alluded to in her lyrics rote. The album, in the end, wasn’t actually different enough to Dummy – it just took the more melancholy elements of their sound and dispensed with the seductive melodies, the empathy and warmth, and flashes of black humour (the slowed-down Johnnie Ray sample from Biscuit, for example) that, laid over heavily compressed beats and scratchy basslines, had been so compelling three years before. But at a show at the Roseland Ballroom in New York something alchemical happened. Joined by an orchestra of some 40 players, a keyboardist (John Baggot) and a live rhythm section to give the songs a kick up the backside, tracks that had sounded flat on the album came alive on stage. None more so than Cowboys. Utley’s grindy guitar, played down on the album version, was now way up front and in the listener’s face. Gibbons’ distorted vocal sounded more eerily Cruella de Vil-like than ever before and hardly-there drones from the orchestra hovered over the whole thing like gathering stormclouds. Perhaps Barrow had worked on the songs for the second album too long and the spontaneity had been lost. Maybe they’d sought perfection in uniformity rather than feel. Possibly they went past the mix on some of the album’s tracks. But almost every song from the second album they played at the New York show was improved by performance (conversely, every song from Dummy was diminished – the slowed-down, bell-less reading of Sour Times was a misjudged disaster). Taken together Portishead and the Roseland NYC live record remain a fascinating pair – neither wholly satisfying, but each enriching the other. There’s much good music on Third but the band’s masterpiece remains Dummy, a record that seems to me to be rather undervalued today, dismissed as a bit fluffy, even. Nonsense. It’s still magnificent, twenty years on. This entry was posted in Music and tagged Adrian Utley, Beth Gibbons, Biscuit, Blue Lines, Cowboys, Dummy, film noir, Geoff Barrow, Glory Box, hip-hop, jazz, John Baggot, Johnnie Ray, Massive Attack, Morcheeba, Numb, Portishead, Portishead (album), r&b, Roseland NYC, slow music, Sneaker Pimps, Sour Times, Third, trip-hop on February 19, 2014 by rossjpalmer.